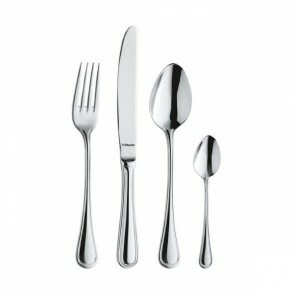 Dear table scaping connoisseurs, gourmet and party planners discover our beautiful 96 pieces cutlery set. This cutlery set includes a range of cutlery for the pleasure of your guests including 12 dinner knives, 12 dinner forks, 12 table spoons, 12 dessert knives, 12 dessert forks, 12 teaspoons, 12 mocha spoon and 12 dessert spoons. A beautiful wooden cutlery case is also available on AZ shop for the storage of your cutlery. 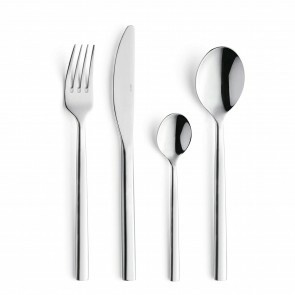 Previously considered as goldsmiths products, cutlery sets became popular around the middle of the 19th century! 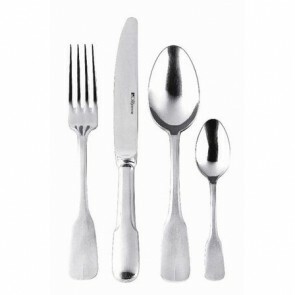 At the time, the cutlery sets were forged in solid silver and were offered as a wedding gift. 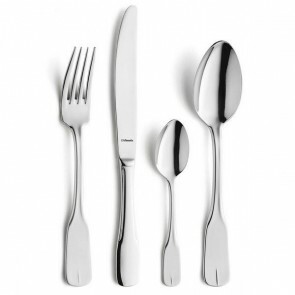 The family coat of arms was usually engraved on the cutlery. 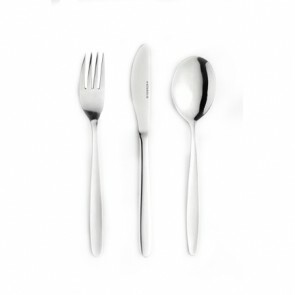 Aimed at wealthy people to give them the opportunity to move with their silverware, the sets of silverware in their case sometimes looked like small furniture. 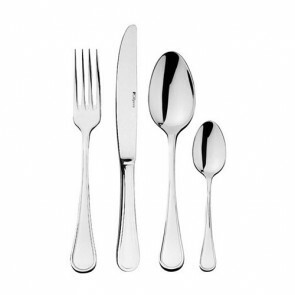 Nowadays flatware sets are designed with much cheaper metals such as white metal or stainless steel to be more accessible to the middle class. 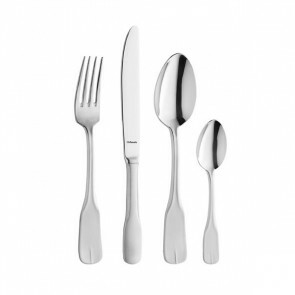 Today recognized for its robustness, stainless steel flatware set is more resistant to corrosion, due to its alloy of iron, carbon, chromium and nickel. 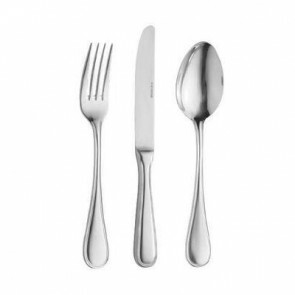 The all stainless steel cutlery set is then polished to remove the marks and asperities present on the surface of the piece, which gives a satin effect and a glossy finish. 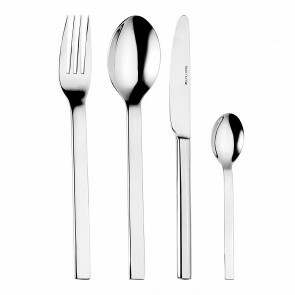 The 96 to 100 pieces stainless steel set has the necessary qualities to glam up and enhance the tasting experience of your culinary delights ! 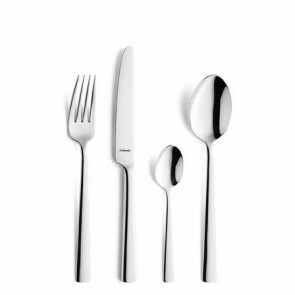 It is even available in several models to match your tabletop decor: vintage like the Vieux Paris collection or more refined for a contemporary style. 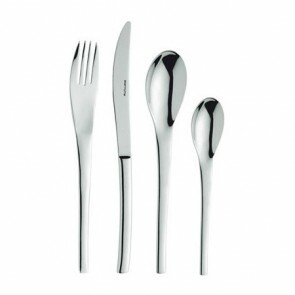 In addition, stainless steel cutlery can be easily cleaned! Indeed, they are dishwasher safe! Be careful not to keep them wet. The best would be to wipe them just after washing to prevent rusting! 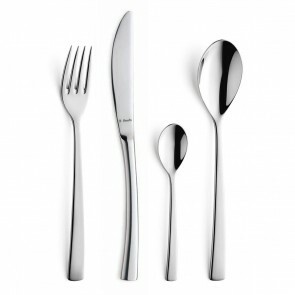 All high-end brands such as Pradel Excellence, Laguiole, Victorinox or Opinel offer several collections of housewives. 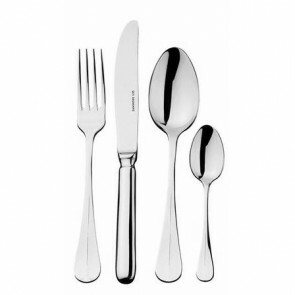 If you appreciate the robustness and elegance of our cutlery set 96 pieces, you will also appreciate our selection of dinnerware and kitchenware items for everyday use or formal dinners including plates (flat plate, soup plate, dessert plate among others), bowls set, carving knives, knife set, kitchen cutlery, salad servers, Japanese chopsticks, cake server, steak knives, cheese knives, coasters , serving trays, table linen, boning knife, decorative accessories and glassware for a refined table.